We are authorized Dealer and on hire on rent service provider all types of Projectors, 3d projectors, led projectors, short throw projectors, lcd projectors, dlp projectors, xga projectors, svga projectors, black projector, video projectors, we have internation brand epson projectors, dell projectors, vivetek projectors, hi tech projectors, canon projectors, onida projectors, ricoh projectors, toshiba projectors, lg projectors, sharp projectors, mistubishi projectors, panasonic projectors, infocus projectors, hitachi ptojectors, nec projectors sony projectors, also dealer for all types of projectors lamp, projectors screen with tripod stand this service all over Mumbai, Navi Mumbai, Thane , Kalyan, Palghar, Bhivandi, Andheri, Churchagate, Fort, Chembur and all over India, payment cash on delivery, cheque, Cash, DD, on line transfar, credit card EMI. 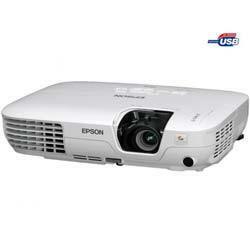 Being a customer-focused organization, we are engaged in offering Video Projector On Hire. The offered projectors are designed by the professionals of our vendors for enjoying larger than life images that fill the office, classroom or home with improved brightness. Moreover, these projectors are highly energy efficient and can be started without warming up by just inserting USB cable into the system. Looking for Projectors On Rental ?